Ashihara Architect & Associates was established in 1956 by Yoshinobu Ashihara, and it has been undertaking many architectural designs that represent Japan’s modern architecture. In 2017, the “Yoshinobu Ashihara Architectural Archives” that stores approximately 200,000 material related to the activities of Yoshinobu Ashihara and up to 300 works of architecture was completed at the Musashino Art University. 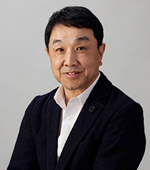 On this occasion, we concluded our architectural design work and transferred the business to “Taro Ashihara Architects.” Currently, with funds from our real estate investment business proceeds, we are conducting the following activities with the aim of succeeding the architectural spirit of Yoshinobu Ashihara to future generations. 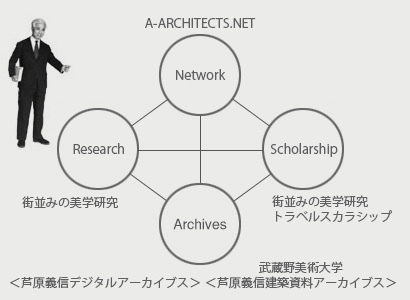 The opening of the “Yoshinobu Ashihara Digital Archives” toward the succeeding of the architectural culture.